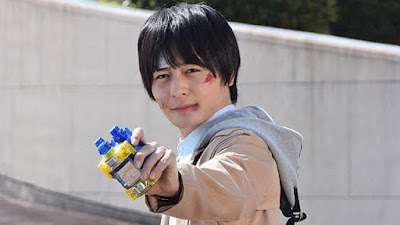 At last, the hero of justice, Kiryu Sento's memories have returned and it's time for him to unleash his ultimate Best Match: Kamen Rider Build Genius Form! "Utsumi finally becomes Kamen Rider Mad Rogue while Sento Kiryu's memories as Takumi Katsuragi also returned! Evolt decides to refrain from destroying Earth immediately as he attempts to complete his human control. Fierce battles are waged against Evolt as the Riders try and develop new forms of technology to use against him. One of these option is to harness Evolt's genetic structure hidden within Ryuga Banjou's body..."